Click the Parrots Mask channel to show the masked area. are cropped out, you do not need to work on that area. to adjust the mask. Pressing the X key will toggle between adding and removing the mask. needed, click the Layers panel tab to show it instead of the Channels panel. ors of the parrots to any other colors. ponding Camera Raw Filter to turn it off. 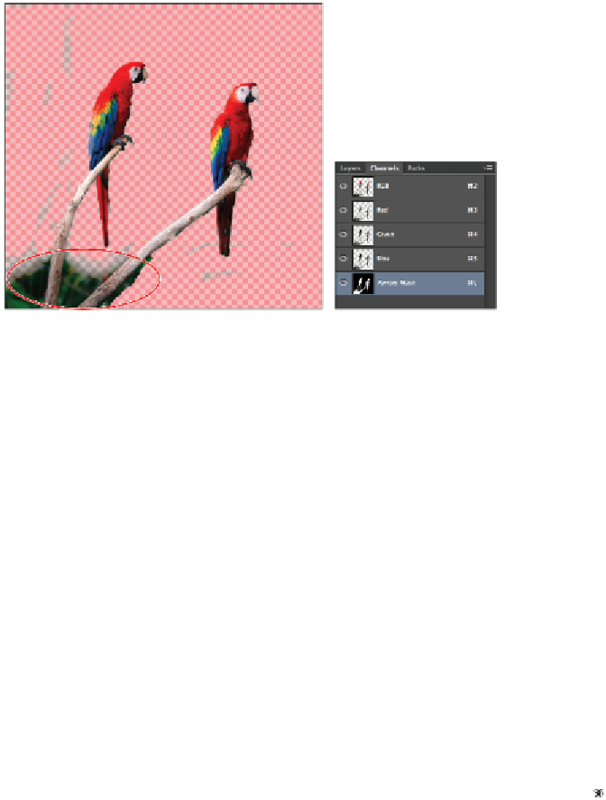 2 Click the Add a layer style button ( ) at the bottom of the Layers panel, then select Gradient Overlay. The Layer Style dialog box appears with the settings for Gradient Overlay visible. You can use the settings in this example or experiment on your own. 3 Change the Blend Mode to Hue. 4 Type 89 into the Opacity text field.